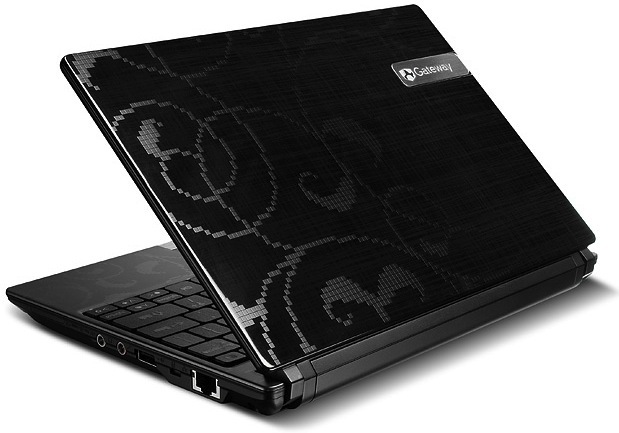 Gateway just introduced the LT23 Series netbook, which features a sophisticated all-new upscale design that elevates its status to “must-have” for every fashion-conscious mobile PC customer. The new design features an organic woven pattern that appears to be mosaic, making it a chic fusion of classical design with a modern twist. The color-on-color pattern appears on the matte cover as well as the palm-rest, bringing a cohesive feel to the design of the Gateway LT23 Series, and ensuring that it looks incredibly stylish from any angle. The Gateway LT23 Series design is available in champagne, pearl and black. The stylish chassis isn't the only thing that's impressive about its look. 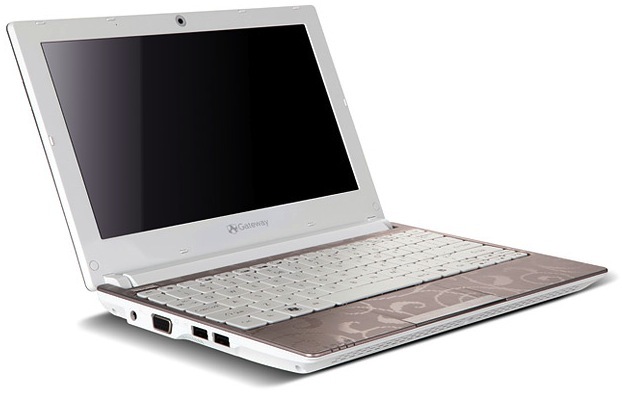 The Gateway LT23 Series netbook line has a 10.1-inch LCD LED back-lit display with a 1024×600 resolution that gives customers the ideal visibility for mobile use, yet it's small enough to ensure that the Gateway LT23 is incredibly portable; it measures only about an inch thin and weighs only 2.76 pounds. Gateway's LT23 netbook line is powered by Intel® Atom N450, so it delivers long battery life paired with the ability to handle multiple tasks such as web-browsing and reviewing documents. While delivering excellent mobile performance, the Gateway LT23 provides up to 8 hours of battery life with the 6-cell, 4400mAh battery1. 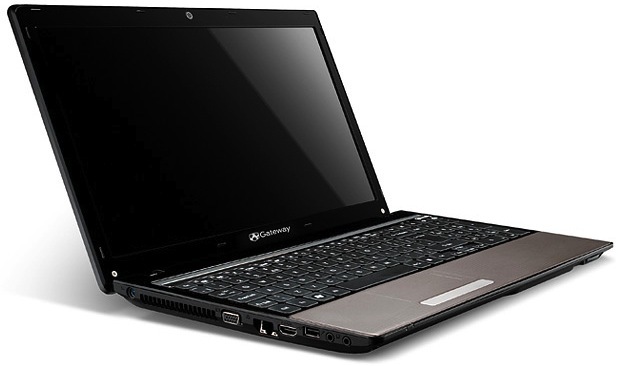 The Gateway LT23 brings a new feature to netbook customers — an integrated “social networking” feature that can be easily accessed through the function keys. Customers can use it to quickly access their social networks on Facebook, YouTube and Flickr to enjoy real-time network updates on their status feeds, as well as provide updates to their own sites with information, images and video. 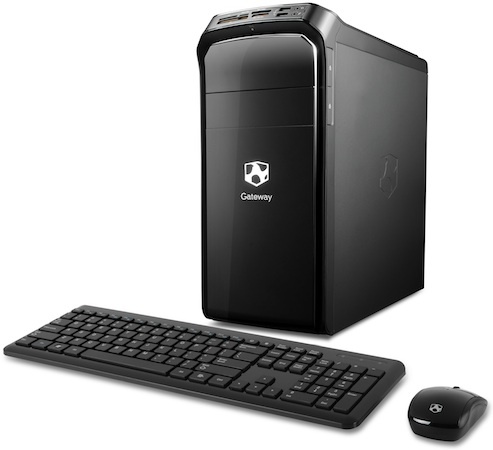 Gateway LT23 users can also stay in touch with friends, family and colleagues in other ways. The line is equipped with an integrated HD webcam, so customers can capture memories on the go with still photos and live video that can then be posted using the social networking button. Also, video emails and video conferencing calls offer a more personal way to stay in touch. In addition, the line is ready to help people provide easy access to the Internet via Wi-Fi 802.11b/g/n wireless, so customers can browse websites, make VOIP calls, and stay in touch with friends and colleagues via email. The new Gateway LT23 netbooks are well-equipped with features and capabilities that let customers integrate the netbook into their lives. 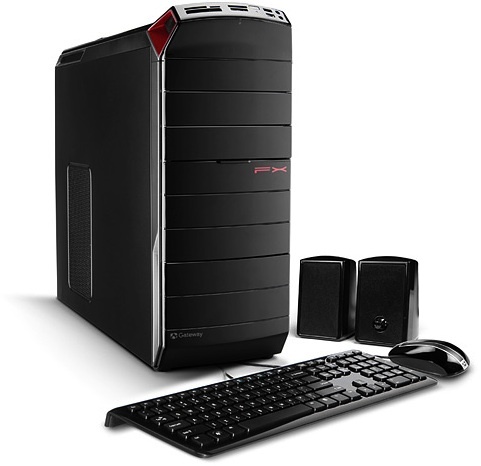 Revved with up to 1GB of memory and up to a 250GB hard drive space2, customers will have plenty of room for their files, music, photos and software. 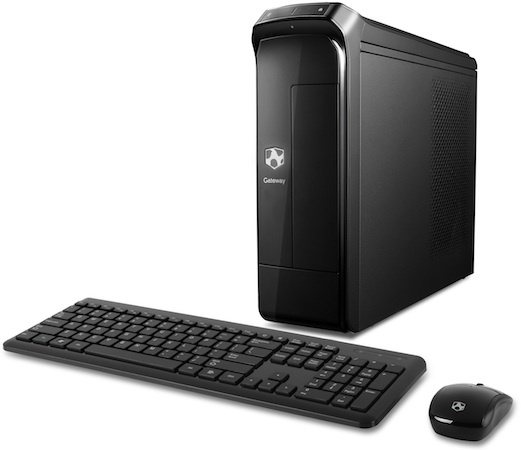 Plus, the Gateway LT23 netbooks have three USB 2.0 ports, Ethernet and VGA as well as a multi-in-one digital card reader, so they can be connected to a variety of devices such as cameras, camcorders, MP3 players and printers. The netbooks also feature a numeric keyboard that can be set with a function key for dedicated data input. 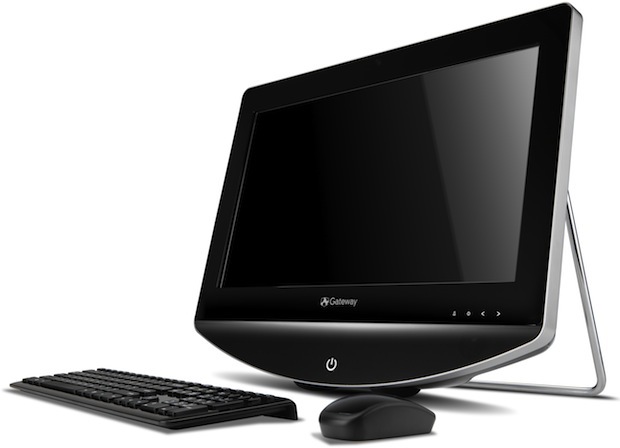 The Gateway LT23 netbooks feature a productivity-enhancing multi-gesture touch-pad that lets users move around websites, documents and digital media in an incredibly intuitive way. For example, customers can swirl their fingers in a circular motion to scroll through web pages, long lists of files and music playlists. In addition, customers can move two fingers to flip through photos, web pages and PDF documents as well as make an inward or outward pinching motion to zoom in and out on photos and documents. 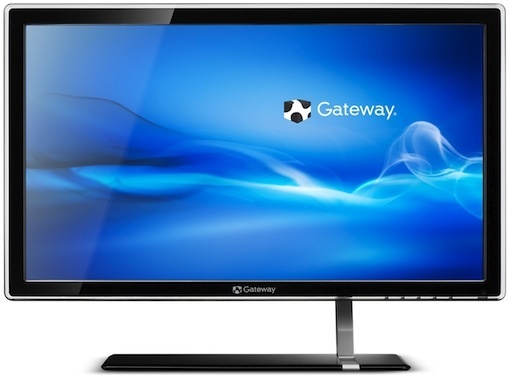 The new Gateway LT23 is available now in several configurations.